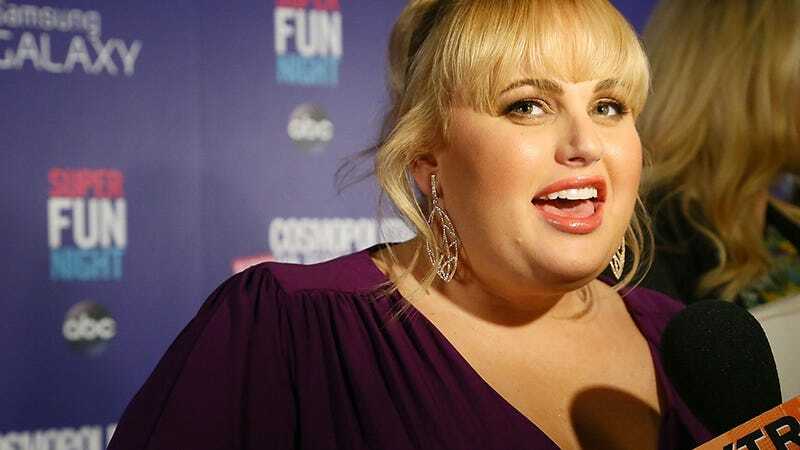 Diet companies are reportedly "battling" over having Rebel Wilson as their spokesperson, in a depressing real-life analogue of the Hunger Games. An insider claims that she is "asking for a fortune." Radar Online enthuses that "viewers could get a front-row seat to her slim down on her ABC series" (barf) (1,000 barfs) (endless sea of barfs), but the source states that Rebel "would be doing this strictly for the money." Jessica Simpson's endorsement deal with Weight Watchers, for instance, was $4 million — so Wilson could definitely stand to make a lot. She also has a history with the industry: she was the spokesperson for Jenny Craig Australia in 2012. Beautiful alien baby/very smart young woman Lorde argues that being critical of the current state of pop doesn't automatically make her a "hater." She's been labeled a bit of one, seeing as she's criticized Justin Bieber for not providing "a real depiction of what it's like to be a young person," she's stated that Taylor Swift seems "flawless and unattainable" (she has since clarified that she didn't mean it as an insult, because the media loves cat fights so much that they'll take the word "flawless" as a mean and horrible diss? ), and she's called out Selena Gomez for having anti-feminist themes in her songs. "I think there's a funny culture in music that's only happened over the last 15 years, that if you have an opinion about something in music that isn't 100-percent good, you're a 'hater,' even if you have perfectly reasonable grounds for that critique. People will say exactly what they think about a movie or a TV show, and that's fine, but as soon as you say it about a record, you're like some little zombie in a funny dungeon."